Moving from writing modern contemporary women’s fiction and romantic comedies to creating medieval murder mysteries isn’t necessarily the most obvious career move for a writer to make. For me however, it felt like a natural progression. I love writing my stories of Cornish romance and coffee shop based friendship dramas as Jenny Kane. In fact, it was when I was writing my modern chick flick romance, Romancing Robin Hood, that I found I was accidentally writing a medieval mystery at the same time. Within Romancing Robin Hood, the lead character, Grace Harper, is writing a medieval adventure. It hadn’t been my intention to tell the story Grace was writing alongside her own adventure- but that’s what ended up happening. 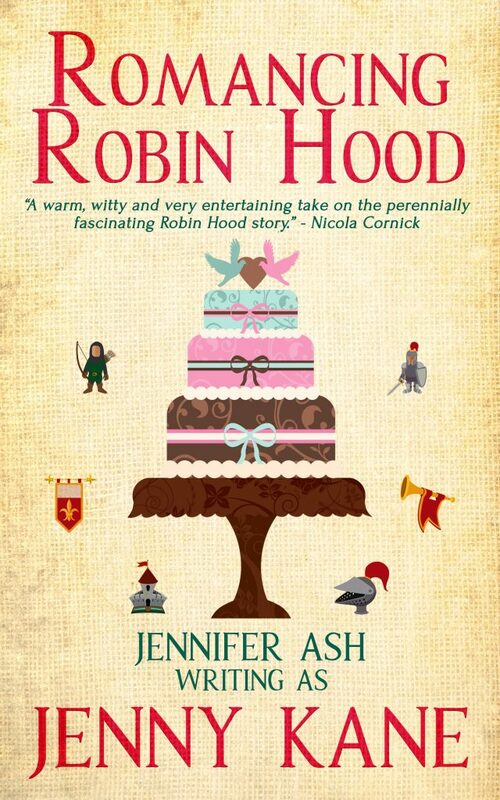 So, when you read Romancing Robin Hood, not only do you read, Robin Hood lover, Grace’s, modern tale, but you read the murder mystery she is writing as well. It just goes to prove that writers have very little control over their characters. Grace told me to write her novel for her- and so I did! 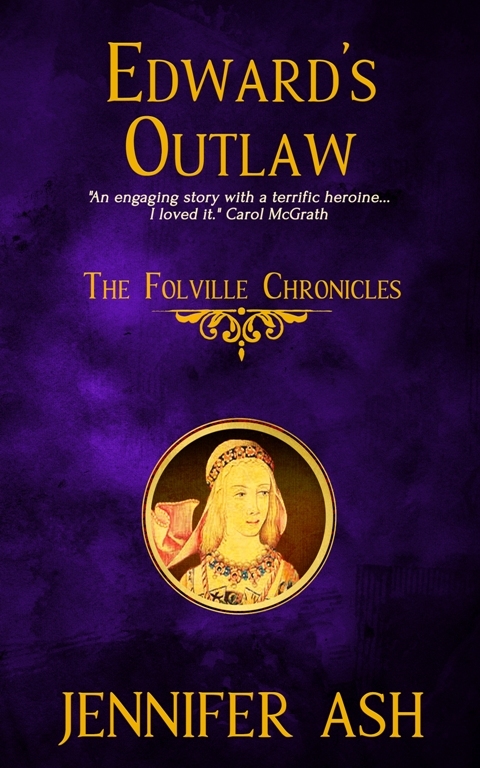 That novel (which is within Romancing Robin Hood) was separately published as The Outlaw’s Ransom, the story of Mathilda of Twyford and her encounter with a criminal gang in Fourteenth century Leicestershire. Even more surprising to me than the fact I was suddenly writing medieval crime fiction, was that Mathilda wasn’t going to be content with just one story of her own. She wanted a whole series all to herself! So, The Folville Chronicles was born. 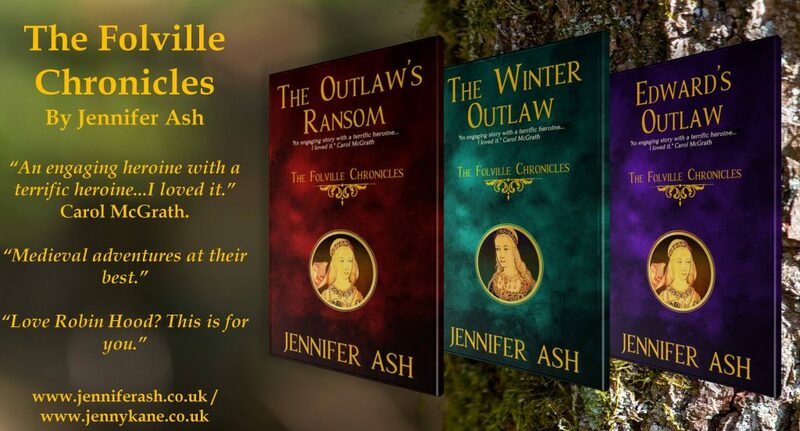 The Outlaw’s Ransom, which is only a short novel, was followed by the rather longer novel, The Winter Outlaw– and that in turn has now been succeeded by Edward’s Outlaw– where I got seriously involved in the writing and simply couldn’t stop! Mathilda was so busy solving the given crime, that I hadn’t noticed just how long this story was going to be! So far, every new Folville Chronicle has been almost double the size of the one before! While The Folville Chronicles are medieval murder mysteries- with plenty of other crime going on in the background- I haven’t strayed too far from my romantic fiction roots. Mathilda and Robert de Folville don’t have the most straight forward of starts on their life together…and they aren’t the only ones destined to end up together…. If you’d like to read any of the stories mentioned above, the links to my books, romance and otherwise, are available via the menu links at the top of the page, or by clicking on the titles of each mentioned book within this post. Jennifer- or should that be Jenny?